Delta Sigma Theta, Inc. is committed to the ideals of Sisterhood, Scholarship and Public Service. In accordance with these ideals, Delta has established a long and glorious history of educational, cultural, political, and social service in the public's interest based on a Five-Point Programmatic Thrust. National economic trends, such as unstable employment, the threat to Social Security as we know it, and the widening gap between wealth and poverty are the basis for the development of Financial Fortitude, the current Economic Development Program Initiative of Delta Sigma Theta. Financial Fortitude is a process that will help program participants to set and define goals, develop a plan to achieve them, and to put the plan into action. The process serves as a blueprint to address all aspects of personal finances. The Jefferson County Alumnae Chapter addresses the need of the community by holding various workshops, such as Savvy Shopper, to educate the public about the importance of being financially stable. Delta Academy was created out of an urgent sense that bold action was needed to save our young females (ages 11-14) from the perils of academic failure, low self-esteem, and crippled futures. Delta Academy provides an opportunity for local Delta chapters to enrich and enhance the education that our young teens receive in public schools across the nation. specifically, we augment their scholarship in math, science, and technology, their opportunities to provide service in the form of leadership through service learning, and their sisterhood defined as the cultivation and maintenance of relationships. A primary goal of the program is to prepare young girls for full participation as leaders in the 21st Century. 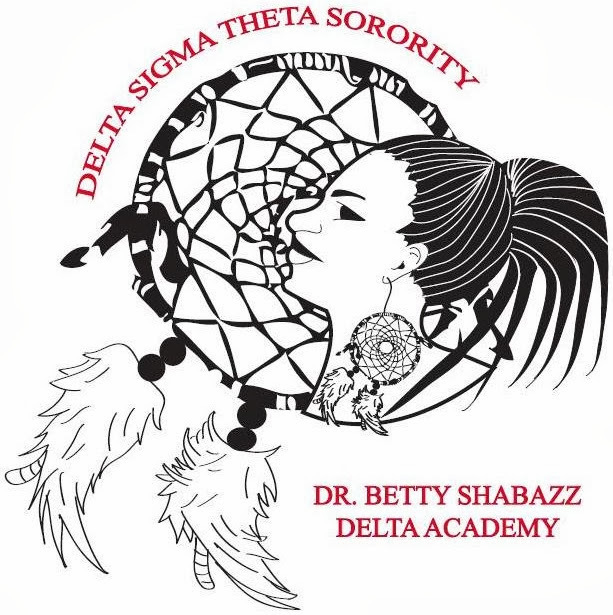 A natural outgrowth and expansion for the continuation of the highly successful Dr. Betty Shabaaz Delta Academy: Catching the Dreams of Tomorrow, Delta Gems was created to catch the dreams of African American at-risk, adolescent girls aged 14-18. 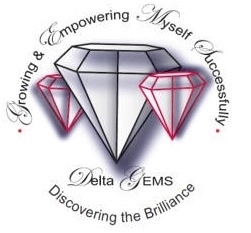 Delta GEMS provides the frame work to actualize those dreams through the performance of specific tasks that develop a CAN DO attitude. To create compassionate, caring, and community minded young women by actively involving them in service learning and community service opportunities. The E.M.B.O.D.I. (Empowering Males to Build Opportunities for Developing Independence) program is designed to refocus the efforts of Delta Sigma Theta Sorority, Inc., with the support and action of other major organizations, on the plight of African-American males. Both informal and empirical data suggests that the vast majority of African-American males continues to be in crisis and is not reaching its fullest potential educationally, socially and emotionally. EMBODI is designed to address these issues through dialogue, and recommendations for change and action. EMBODI will include a program format and information template. The delivery options may include a town hall meeting, workshops, and/or teen leadership summits. Delta has a rich history of involvement in the international arena. The building and maintenance of a maternity wing at the Thika Memorial Hospital in Kenya, West Africa, to Delta's identification of 1987 at the "Delta International Year" underscores Delta's commitment to understanding the world. The "African Diaspora," a Delta Cultural Awareness/Study Program, focused on the dispersion of the peoples and cultures of Africa through the continents of North and South America, Europe, Asia and the island countries in the eastern and western hemispheres. This year, the Chapter provided financial support to a former “Delteen” for a Mission trip to Kenya Africa. In addition, the Chapter provides a Kwanzaa celebration to its Betty Shabazz Academy and Delta Gems yearly. Concerns about America's physical and mental health have not escaped Delta Sigma Theta Sorority, Inc. Delta's work in prevention and "wellness" translates to health education programs, health fairs and the provision of health care services. Delta also supports medical research that examines illnesses that victimize specific segments of the country's population. Our Chapter participates in health awareness services to the community, supports educational and charitable initiatives for children and their families, the elderly, and coordinates activism in local and national health-related issues and forums. Specifically, the Chapter actively played a part in such events as the American Cancer Society's Triple Touch Presentation, the American Heart Association Heart Walk, the Community Day of Empowerment and the Relay for Life. Though non-partisan in nature and purpose, Delta understands the importance of and the need for an informed electorate. Delta's concern for the public's "need-to-know" and the enfranchisement of all Americans has been the philosophical basis for public service programs in this area. Voter registration and voter education programs, workshops and seminars highlighting elected public official assessment and accountability are ongoing. Our Chapter provides voter registration and training to the community and chapter. We promote social activism, targeted advocacy, and ongoing education specific to current and evolving county (local, state, national and international issue. The Chapter participates in Delta Days in the Nation's Capitol and Delta Days at the State Capitol. To learn more about the Five Point Programmatic Thrust, visit our Grand Chapter's website at http://www.deltasigmatheta.org.